1. Internet Explorer may be having performance issues related to an over-abundance of related temporary files. 2. You’re using a shared computer/device and need to maintain privacy. 1. 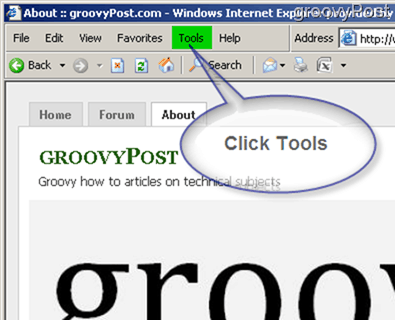 Click the Tools option at the top of Internet Explorer. 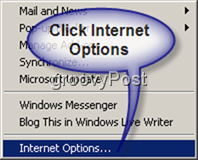 This will open a pull-down menu; next click on Internet Options. 2. On the General tab, you will find the subcategories of Temporary Internet Files and History. 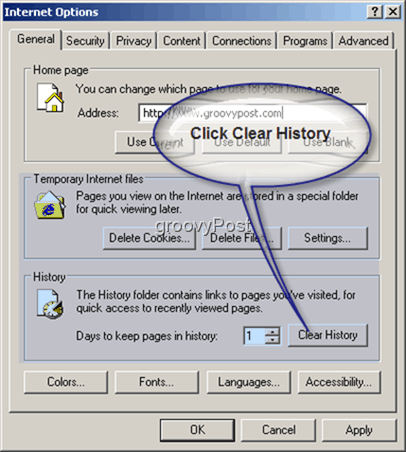 Click on the Clear History button. A new window will appear asking you to confirm that you want to delete your history. Your history of visited websites should now be gone. *Note if this has never been done before (or has not been done for an extended period) it may take several seconds before you can move to the next step. 3. 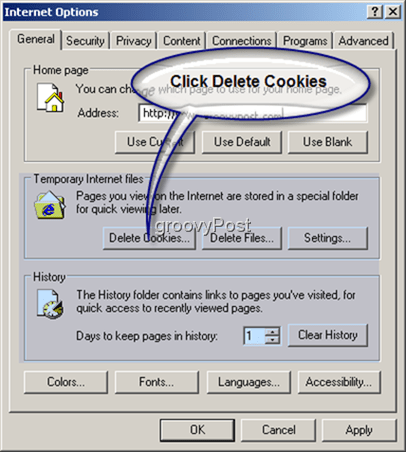 To delete your Cookies, click the Delete Cookies button. Your cache of locally stored Cookies is now cleared. 4. That last step (#3) was to clear your Temporary Internet files (Delete Cookies) which range from locally stored images to entire web pages. 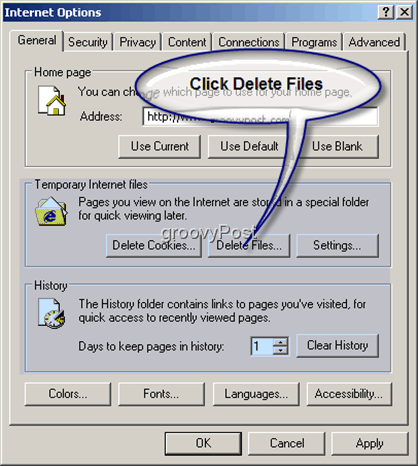 This step (#4) is to delete your Temporary Internet files. Click Delete Files. Your Temporary Internet Files should now be cleared. *Note if this has never been done before, (or has not been done for an extended period) it may take several seconds to complete. The accumulated size of the files sometimes found in the Temporary Internet Files folder can be huge. All Done! Your history and file cache should now be cleared. Note, if you’re using a computer with multiple user accounts, (for whatever reason..?? ?…) you must repeat this process for each account.